Rapper vs footballer: Whose trainer collection wins? 5. Rapper vs footballer: Whose trainer collection wins? 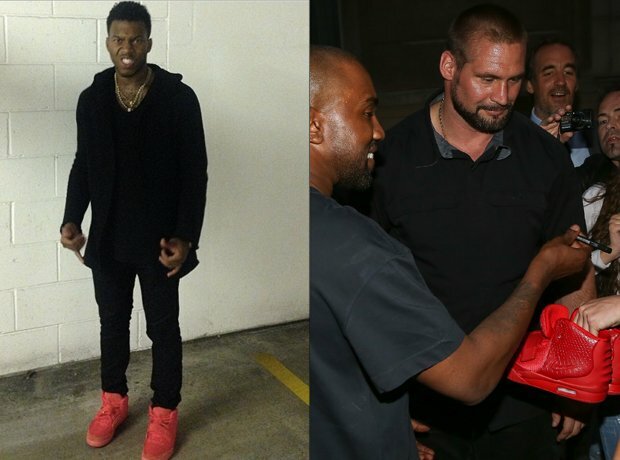 24-year-old Liverpool player Daniel Sturridge recently shared a picture showing off his Nike Air Yeezy 2's, which sold out in 11 minutes when released earlier this year for a retail price of $245. They are now going for thousands on eBay, so it's pretty impressive that Sturridge managed to bag a pair. But what's even more impressive? Being the man whose name is on them.